Dance, lectures, literature and a historical trip to Louisiana are part of the activities Dallas Community Colleges is offering during Black History Month. All DCCCD colleges are participating, and events are free and open to the public unless otherwise noted. Wed., Feb. 7 – Movie screening: “Red Tails,” noon in B Building, room 240. Wed., Feb. 14 – African American Read-In, 10 a.m., BHC Performance Hall. Wed., Feb. 21 – Speaker: Dr. Angela Ross, U.S. Army veteran and professor from the University of Texas Health Science Center Houston, noon, Q Building, room Q201. Wed., Feb. 28 – “A Taste of Soul,” 11 a.m., BHC Performance Hall lobby. For more information, call the Brookhaven College office of student life at 972-860-4115. Brookhaven College is located at 3939 Valley View Lane in Carrollton/Farmers Branch. Thurs., Feb. 1 – “Telling Our Story: The Black Experience” through storytelling and readings begins at 10:30 a.m. at The Hive, C Building (lower level). Fri., Feb. 9 – The Value of You – Learn about genetics and extract your own DNA. The event begins at 10 a.m. in Building S, rooms S100/101. Tues., Feb. 13 – The Second Line: Parade Culture in New Orleans includes a live brass band. The event begins at 10:30 a.m. in Building G, room G101. Wed., Feb. 14 – Repairing Our Roots: Healing the Community through Mental Health; this event begins at 11 a.m. in Building C, room C135. This event is funded by a grant from Substance Abuse and Mental Health Services. Fri., Feb. 16 – Film screening: “Dear White People” explores the experience of four black students at an Ivy League college. The event begins at 11 a.m. in Building G, rooms G101/102. Tues., Feb. 27 – No Beats, Just Bars, features Jonathan Jones, who will use hip hop music to inspire action and leadership. The event begins at 11 a.m. in Building C, room C135. For more information, contact the Eastfield College office of student engagement and retention at 40SER@dcccd.edu. Eastfield College is located at 3737 Motley Dr., Mesquite. 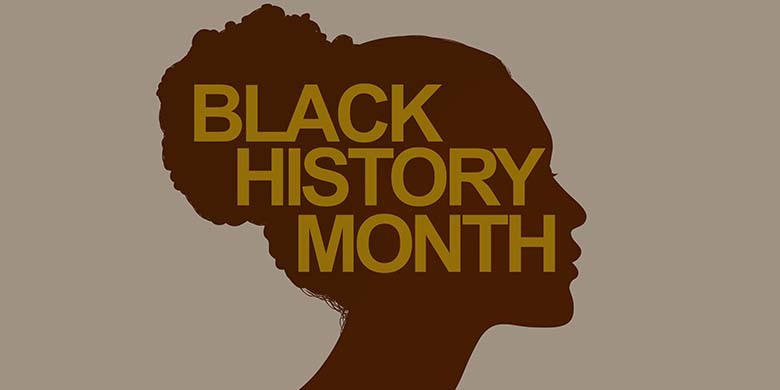 Tues., Feb. 13 – Black History Month program features a lecture by Dallas County District Attorney Faith Johnson. The event begins at 11 a.m. in the Performance Hall. For more information, contact Destiney Tolbert-Jackson at 214-860-2735. El Centro College is located at 801 Main St., in downtown Dallas. Tues., Feb. 1 – Pre-release screening of “Tell Them We Are Rising: The Story of Black Colleges and Universities” with KERA begins at 5:30 p.m. in the Performance Hall. A panel discussion follows and includes members of Mountain View faculty and invited guests from historically black colleges (HBCUs) in Texas. Mon., Feb. 5 – Film screening of “Glory Road.” The film highlights the all African-American starting lineup that won an NCAA championship. One of the team’s star players, Nevil Shed, will attend. The film begins at 9:30 a.m. in the Treetop Lounge, W Building. Tues., Feb. 6 – Guest lecturer Nevil Shed discusses playing basketball. The lecture begins at 12:30 p.m. in the B Building, room B149. Tues., Feb. 20 – African American Read-In begins at 12:30 p.m. in the Treetop Lounge, W Building. Mon., Feb. 26 – Food, Faith & Fellowship begins at 12:30 p.m. in the Student Services Building, rooms S1029/30. Lunch will be provided. Tues., Feb. 27 – Black History Book Club will discuss Dr. Michael W. Waters’ book, “Stakes Is High – Race, Faith and Hope for America.” The event begins at 12:30 p.m. in the library. Wed., Feb. 28 – Slavery and the Value of Human Chattels is part of a history series featuring Dr. Daina Berry, an associate professor of history at the University of Texas at Austin. The event begins at 12:30 p.m., Student Services Building, rooms S1029/1030. Fri., March 2 – Project Blue is an off-campus event. MVC’s office of student life will make a one-day trip to historic Natchitoches Parish in Louisiana where students will visit the Melrose and Magnolia Cane River plantations. Mountain View faculty member Dr. Paul Benson will lead the tour. For more information and to register, visit room S1032. The cost is $50 for the trip and is required at registration; the fee covers all travel expenses, including bus transportation, entry fees and two meals. For more information, contact Alice Rios at AliceRios@dcccd.edu or 214 -860-8722. Mountain View College is located 4849 West Illinois Ave., in Dallas. Thurs., Feb. 1 – Panel discussion: “Then and Now” begins at 11 a.m. in room H200. Moderator is Malcolm Fierson, author and history professor at North Lake College. Tues. and Wed., Feb. 6 and 7 – Pop-Up Book Store: Searching for Answers begins at 11 a.m. in the Gallery. Facilitator: Wild Detectives. Wed., Feb. 14 – Dance presentation by Bandan Koro African Drum & Dance Ensemble begins at 11:30 a.m. in the H Building, room 200. Moderator: Ixchel Frierson. Tues., Feb. 20 – Theatrical Performance: “The Griot” begins at 12:30 p.m. in the H Building, room 200. Moderator: Adrienne Settles. Wed., Feb. 28 – African-American Read-in, titled “Sweet Connections with Lasting Repercussions,” begins at 12:30 p.m. in the H Building, room 200. Moderator: Darryl Howard. North Lake College is located at 5001 N. MacArthur Blvd., in Irving. Tues., Feb. 6 – The Black Student Association (BSA) Professional Networking workshop begins at 12:30 p.m. in Sabine Hall, room 117. A “Dress for Success” presentation takes place at 1:30 p.m. in Sabine Hall. Tues, Feb. 13 – “Get Out: A Community Conversation” will be presented by the Black Student Association and Richland College Studies in Diversity, Equity and Inclusion. The program begins at 12:30 p.m. in Sabine Hall, room 118. Tues., Feb. 13 – “I’m Every Woman: From Girl Talk to Woman’s Work” begins at 2 p.m. in Sabine Hall, room 117. Thurs., Feb. 13 – The Talent Review begins at 12:30 p.m. in the cafeteria, El Paso Hall. For more information, contact the Richland College office of student life at 972-238-6130. Richland College is located at 12800 Abrams Road, Dallas. Not familiar with Dallas Community Colleges? Find out more about the Dallas County Community College District, or check out our full calendar of events.